Comcast Q3 2018 results were great, boosted by outstanding broadband growth and slightly lower video losses. However, there are underlying trends that suggest Comcast needs new video products to woo broadband-only consumers to sign-up for more. Comcast had an excellent Q3 with an outstanding performance from the broadband business. Video services continued to lose subscribers, though losses slowed somewhat from the same quarter last year. Will goes through the results in some detail, including providing some explanation as to why video losses lessened and why broadband did so well. The focus on broadband by both Comcast and customers is having some adverse effects on the company. The number of customers taking just one service is increasing again, after several years of decline. Conversely, the number of customers taking two or more services is falling after years of growth. I discuss why the increase in single-play customers could be a big problem from Comcast. We discuss why the company needs a new video product that could be interested primarily broadband. New data from the Hollywood Reporter confirms what many other surveys have found: that most people consider pay TV to be at least somewhat unaffordable. However, the data also shows that consumers reject two of the core value propositions that underpin the big TV channel bundle. We discuss what options Comcast has to sell video products to consumers that come to them for broadband. One of those options is for operators to aggregate SVOD services on the set-top box for consumers. Comcast is doing this but only has a few services available. 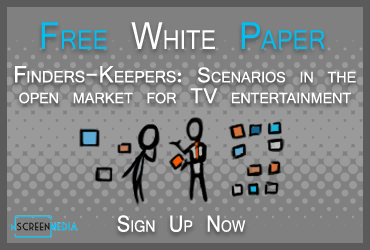 You can learn more about why pay TV SVOD is a win-win for everyone concerned in the free nScreenMedia white paper One Remote: How everyone benefits from Pay TV SVOD aggregation.